Written to be comprehensive, yet easily accessible, this guide will help both the novice and the expert identify a wide variety of freshwater invertebrates. 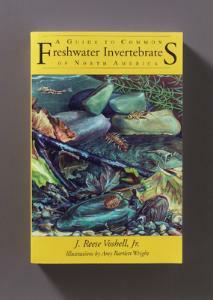 Section I provides background information on the biology and ecology of freshwater organisms and their environments; Section II describes nearly 100 of the most common groups using color illustrations and text that points out the most important characteristics; and Section III gives in-depth descriptions of the life history, behavior, and ecology of the various invertebrate groups. The book also features an index organized by subject, common name, and scientific name.